Wir sind eine Gruppe von Züchtern im BDRG (Bund Deutscher Rassegeflügelzüchter) und wollen die Rasse Yamato Gunkei nach Japanischem Vorbild züchten. Wir wollen nicht die Rasse den Gegebenheiten in Deutschland anpassen, sondern umgekehrt. Wir beschäftigen uns mit der Japanischen Kultur und pflegen die Freundschaft mit den Züchtern in Japan. Wir beraten und betreuen unsere Züchter. Wir organisieren auf die Rasse abgestimmte dekorative Ausstellungen und regelmäßige Züchtertreffen. Für Informationen und Kontakte nutzen wir das Internet. Achtung - Hier kein Verkauf von Tieren und Eiern. 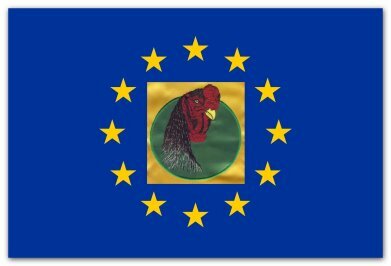 Our club is part of the BDRG (German Poultry Breeders Federation). The objectives of our club are to breed and conserve the Yamato Gunkei to Japanese criteria and vision. Therfor we cannot comply to German Standard of Perfection. Our goal is the revision of the German standard to Japanese standard criteria as this is the only way to conserve the unique features and appearance of the original breed. We want to understand and adapt Japanese culture and establish contacts with Japanese breeders. Members will get advice, information and are taken care of in the best way possible. Club exhibitions are organized in a Japanese or Asian style environment decorated with genuine decorations. Clubmeetings (including breed reviews and lectures) will be organised. Club communication and information is done through the Internet. Warning - No birds or hatch eggs are sold through our website.